quick, butter, garlic and a saute pan! ...over on "I Brake for Delphiniums"
Don't forget to look at this book next time you are in a bookstore...it's friendly, full of thought-provoking ideas, and a heck of a read. Do we have to be snotty exclusionists in order to be environmentalists? Noooooo, this author says that Thoreau said! 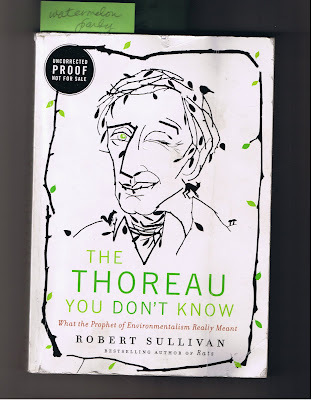 The Thoreau You Don't Know by Robert Sullivan, Collins Publishers.